Sadly Charlie’s owners had to leave him behind in South Africa when they moved back to England. 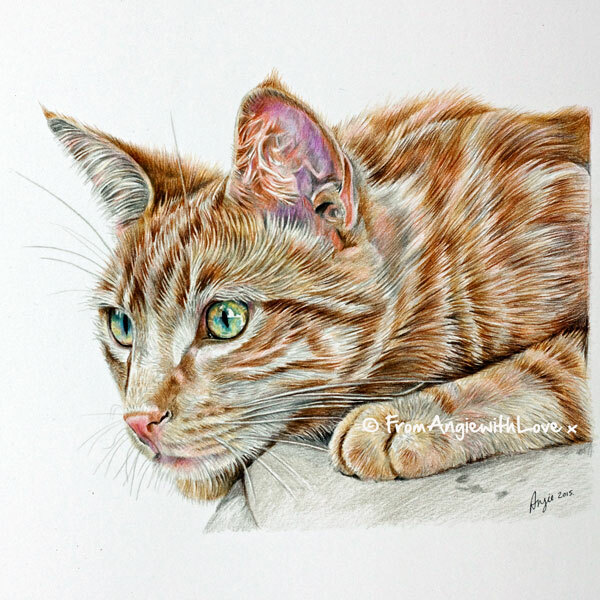 Although he went to a good home, he is very much missed, so this coloured pencil portrait was commissioned to evoke happy memories every day. Four and a half years old. Neighbours cat had kittens in their attic – he got stuck and cried for two weeks. When they finally found him he was only the size of your hand.